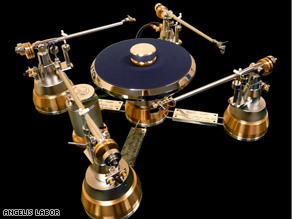 The best turntable $64,000 can buy? Attention audiophiles, old-school vinyl listeners and the very rich: Do we have a piece of stereo equipment for you. I’ve grown up listening to vinyl and hope to get a turntable for myself pretty soon….but this is way over the top.